Residential and Commercial Rubbish Removals SE11 Vauxhall | RDA Cleaning & Maintenance Ltd.
Our waste collection company provides professional rubbish removal services in Vauxhall SE11. With its dedicated insured workers RDA Cleaning & Maintenance Ltd. will do everything in its power to bring you the best quality rubbish removal service available. We will transport all of the waste to the required destinations. Be it dumpsters or recycling plants. This way we ensure that our services are both efficient and eco-friendly. Every offer that we can present you will come at an affordable price. So, give our company a call at 020 3404 1646 or use the online booking form and we will send a team straight away. Too Much Junk Lay around You? You Need The Help of Expert Waste Disposal Vauxhall SE11 Technicians! Eventually, storing all of the useless and old things at one place lead to the junk you cannot get rid of it easily afterwards. And the day, when you will feel buried by the rubbish seems too soon, right? Don`t let that happen to you and order the effective waste disposal services Vauxhall SE11. Lean on the diligent, well-trained and educated rubbish removal technicians. RDA Cleaning & Maintenance Ltd. is a well-known professional waste collection Vauxhall SE11 company. We know and always apply the most optimal formula for disposal wasting in your home or in your office space. The experienced technicians are trained to handle each individual case with a personal approach. Once they check out the junk you want to deal with it quickly, they will make you an offer. Only after decent negotiations about the correct date, the final price depending on the junk size, the transportation route and the details for the packing, the contract is signed. Note that you do not have to provide us any bags, cardboard or other packing materials. We only need some parking space to leave the van with all the necessary materials we will bring. So Why Hire Our High-Quality Vauxhall SE11 Rubbish Collection Service? 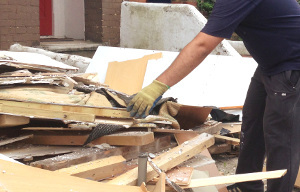 Make a reservation for our top-notched rubbish removal services in Vauxhall SE11 today! Use the online booking form and complete your reservation in no time. Call our helpful operators on 020 3404 1646 phone number today! We will restore the order and the cleanliness in your environment as soon as possible and at fraction of the cost!